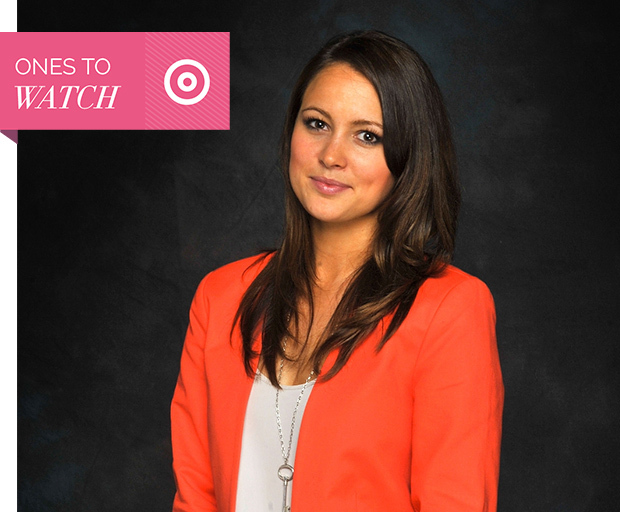 Everybody is on the hunt for young up-and-comers and, here at SHESAID, we have been lucky enough to meet a few of them. These ladies are on the road to success and generating waves within their chosen field. Whether they be creatives, sporting talent, founders of start-ups or someone striving to make are difference, these young women are definitely ‘Ones to Watch’. There is no doubt Ashlee Harrison is generating positive change. At a young age, she experienced first hand the grief and overwhelming impact suicide can bring to a community. However, instead of letting the event hinder her, the WA native chose to use her position to benefit the lives of others and it was with this in mind that zero2hero was formed. zero2hero aims to ensure every child and young person is educated and empowered to effectively communicate and deal with mental health issues. Focused on providing programs and raising awareness, Ashlee’s hard work and commitment to the cause is inspiring. This week, we managed to find a spare moment in her busy schedule and see what she’s been up to. I am 27 and live in Perth, WA and am about to embark on the journey called ‘motherhood’ for the first time. I work as the CEO of a WA –based charity called zero2hero and I am the Director of a media consultancy Social Say. I value family, growth & development, new experiences, community and health. What was the catalyst for starting zero2hero? When did you realise that this was something that you wanted to do? At the age of 20 I lost my step-dad to suicide. The moment it happened I was shocked that someone close to me could have been struggling on such a deep level and I didn’t know. Suicide never just impacts the person that’s lost; it has a massive ripple effect. My whole family and friends were affected. After Graham’s death, I felt a deep desire to ensure that this didn’t happen to others. When I learnt that suicide is the leading cause of death for Australians under the age of 44, I knew I had to do something. So at 21 years of age I started zero2hero. At first we hosted events and fundraisers with the aim to have people speak up and reduce the stigma surrounding mental illness. All of our fundraising went to mental health services such as Lifeline and Suicide Prevention Australia. I spent years educating myself on mental health and suicide prevention, completed courses and learnt from people and mentors running very successful not-for-profits. It was then that I saw that there was a gap in education for people before they reached the point of crisis. To prevent suicide we must start by educating our entire population on the basics of mental health and mental illness. Similar to the education we receive about our physical health, we must learn about the health of our brain. This was the turning point for zero2hero. Each year zero2hero reaches over 70,000 young people and has trained more than 180 mental health ambassadors in suicide first aid. What makes zero2hero unique to other organisations? We believe that in order to impact our social issue we need to train young people to become mental health leaders and ambassadors in their community. Our research has shown that the majority of young people seek support from their friends and peers when they are in need. Using this knowledge we created programs that equip school-aged children and teenagers with the skills to speak up when they are struggling and the confidence to stand up and support their friends when they may be experiencing stress, anxiety, depression, bullying, self-harm or suicidal thoughts. Our programs are created in partnership with the people we serve i.e. : young people. They are the advisors for all of the youth programs we run. Our programs are also free for all schools across WA to access. We believe that each and every young person needs to be educated about mental health and we don’t believe that finances should be a barrier. I believe so much in what we do, that for 6 years 100% of our income has been invested into our programs. It is only now that we are looking at hiring staff to ensure our programs are sustainable and increase our reach to rural WA. What have been the stumbling blocks for you, initially getting started with zero2hero and since then? The subject we are dealing with has not always been palatable. 6 years ago people were even more hesitant to say the word ‘suicide’ than they are today, however this is shifting. Funding is always a clear stumbling block for any not-for-profit when getting started. However, starting with zero has taught us to be very resourceful and innovative with the funds we do have. A big challenge for me personally has been in questioning my own leadership, asking myself ‘am I on track’ or ‘am I practicing what I preach 100% of the time.’ I am committed to being a person of integrity and this means facing where I am not being authentic to myself. Facing yourself is one of the biggest challenges a person will ever face. Worth it? Yes, but easy? Never. What were your initial goals with the organisation and what are your plans for the next few years? How do you plan to expand and evolve? The initial goals for zero2hero were an increase in the conversations about mental health and eliminating the stigma. This is still a goal however now we want to re-educate an entire country on mental health and how to look after their own. As an organisation we are looking at ways we can be financially sustainable and innovative. We want to create new programs and increase our reach to primary school students and rural communities. Who do you look to for inspiration? Do you have a mentor? The kids I work with inspire me every day, which is why I continue to do what I do. My family keeps me grounded and focused, and my peer network provides an immense amount of inspiration. I have many mentors. I would not be in the position I am today without them. I have connected with mentors through organisations such as Foundation for Young Australians and the School of Social Entrepreneurs, and I have also created mentor relationships with business people and charity leaders who inspire me. Zero2hero focuses on some pretty heavy topics, what drives/motivates you to keep going? I have one major rule: look after you before you even think about looking after others. I make sure that I check in with myself every day. When I am out of balance I am little good to myself or others. I also believe that in order to do the work that I am doing I must keep my feet on the ground. This means that I attend all of our youth leadership camps. These give me an opportunity to see our work first hand. It is these young people that motivate and inspire me. Through zero2hero you have been honoured with being a State Finalist for the Australian of the Year Award. How do these recognitions such as this affect you and your organisation? The Australia Day Council (who host the awards) has been extremely supportive of the work we do. These awards have significantly increased community awareness of our organisation and suicide prevention. They also provide recognition of the work we are doing and increase enquiries for our programs. For that we are thankful, however awards are not our focus. Our vision is that every child and young person is educated and empowered to effectively deal with mental health issues. It is important that we keep focused and let our work speak for itself. We recognise that both doing what we do and promoting it are important, as long as there is balance. Seeing the impact our programs have on young people is the true reward. Working with teenagers I feel old – all the time. I think the belief and passion behind what I do would resonate regardless of my age. I do however know that being young makes it easier to connect and engage with young people. I used to get hooked on the ‘age concern’ in the business community and then when I stopped questioning myself and my age, so did others. What are your goals for the future? Where do you see yourself in 5 years? With a 5-year-old, camping with 50 of Australia’s most prominent young mental health leaders in a facility that’s located off the grid (i.e. no Facebook) that is owned by zero2hero and forms part of our social enterprise. I think there are 7 billion paths and the advice I would give to anyone is to find their own and follow it with nothing less than 100% passion, love and authenticity.